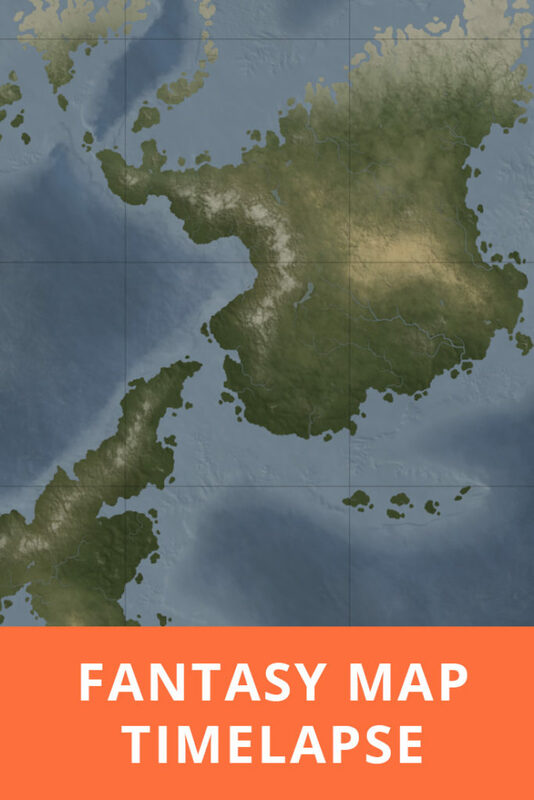 Fantasy World Map for Roll20 - Use it in RPG's like D&D! 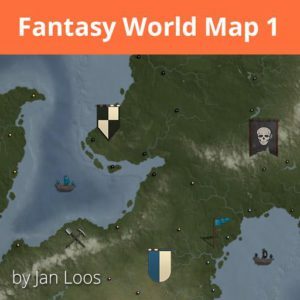 The fantasy world map is also available for Download on the Roll20 Marketplace. So if you want to use it as a handout in your live games, that is also possible! If you are curious towards the process of creating a fantasy world map of this size, I have made a timelapse. The making of the map took about 15 hours. 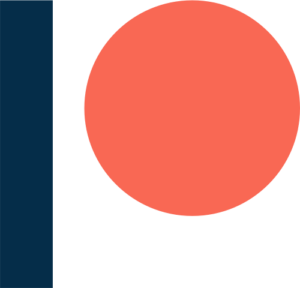 Making the extra icons and artwork took another 10 hours. I have used Adobe Photoshop with Lazy Nezumi Pro. Most of you are familiar with Adobe Photoshop, but Lazy Nezumi Pro adds some extra features like smooth brush strokes and all kind of rules that allows you to still use pressure sensitivity. For the other artwork like the flags, banners, scrolls, and compass, I have used Autdesk SketchBook. I used this program because it allows for mirror and symmetry, making it real easy to draw symmetrical objects or things like compass roses. I’ve learned most of my cartography/map making skills at a forum called the Cartographers Guild. So a huge shoutout and thanks to that forum. 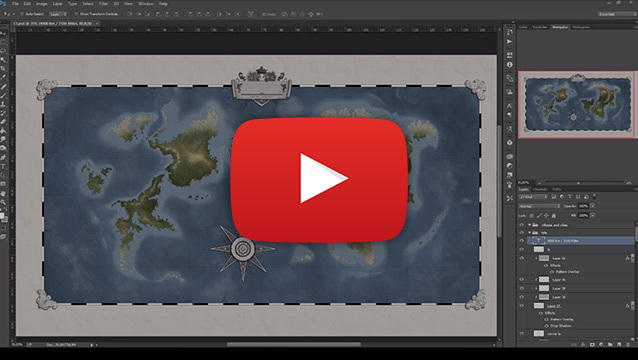 Video Tutorial – Making a Fantasy Map in Photoshop – Including a high resolution unlabelled map! Check me out on Youtube, where I have Timelapses and Tutorials on creating your own artwork and content.